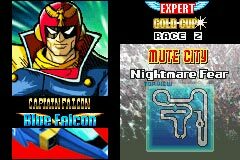 F-Zero's third outing on the Game Boy Advance brings a much-desired feature to the table this time: a track editor. Gamers can create new tracks, and then share them via passwords. There's a new replay mode, which stores your best races. 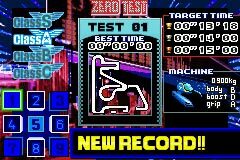 Zero Test and Death Race makes a comeback, as well as a few new modes like No Crash, Slalom, Speed 800, and Top Keep. 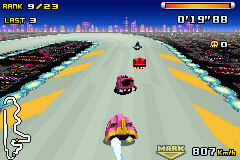 This looks to be the penultimate F-Zero GBA game.